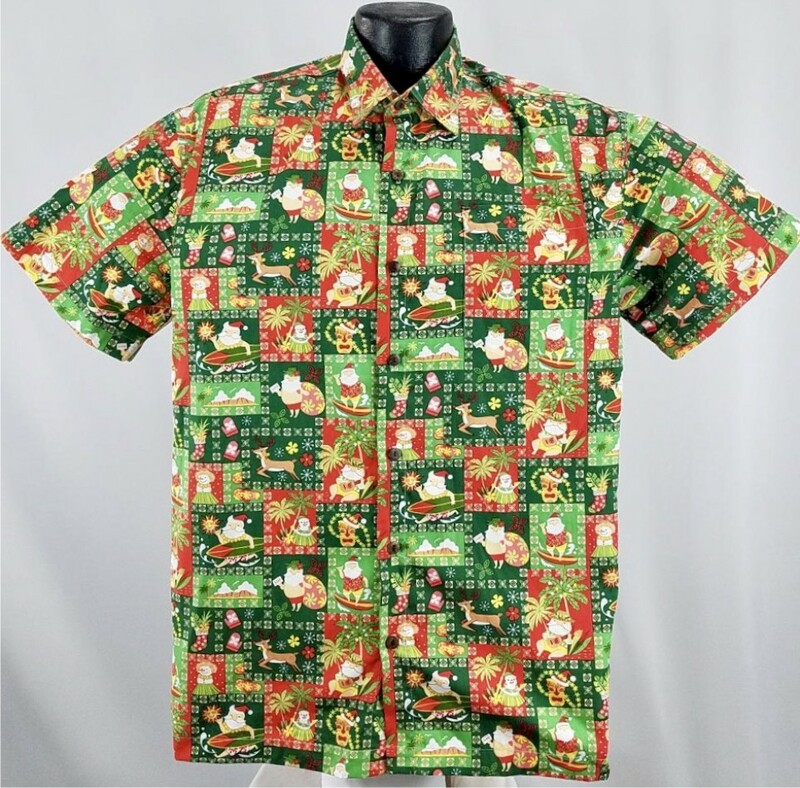 A 2018 special Holiday edition Christmas Hawaiian with a traditional Island scene with Santa and elements of the Holiday Spirit This shirt is made of 100% combed cotton and is made in the USA. It features matched pockets, real coconut buttons, double-stitching, and side vents so shirt can be worn outside or tucked in. The price is $57.95 for sizes S,M,L, and XL, $59.95 for XXL, 61.95 for XXXL, and $63.95.95 for 4xl.